Hi, my name is Gali Gurion. 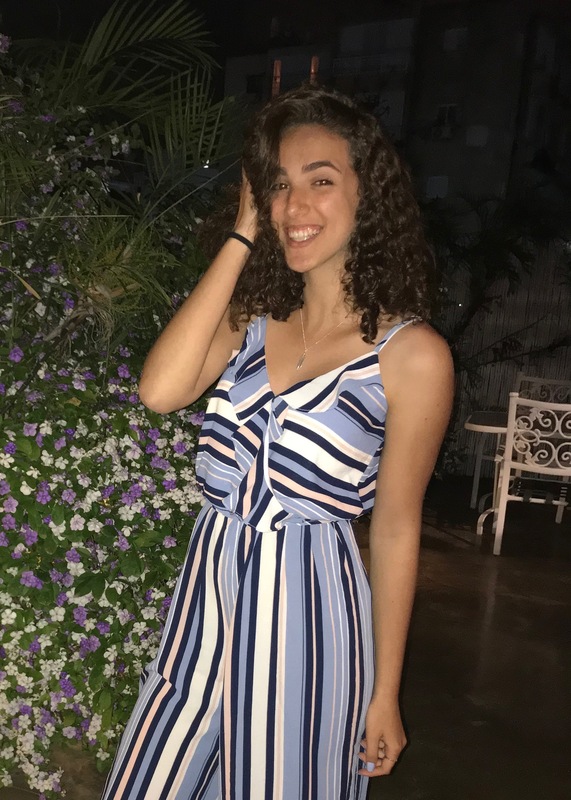 I’m a 16 years old, curly haired girl who lives in Nofit- which is a kind of like a very small town (Yishuv). I have a lot of things that I like to do in my free time, like meeting my friends, watching TV series, stitching, surfing online and going to the beach. One of the main things that characterize me is that I’m very connected to my family, I love spending time with them, especially with my nephew and niece. In addition, I like acting very much. That is why I chose theater as one of my major subjects in school. The other major that I have been learning is social sciences (psychology, sociology).